Gatebox's Boku no Yome (“My Wife”) has been released in mass production for 150,000 yen (US$1,352). 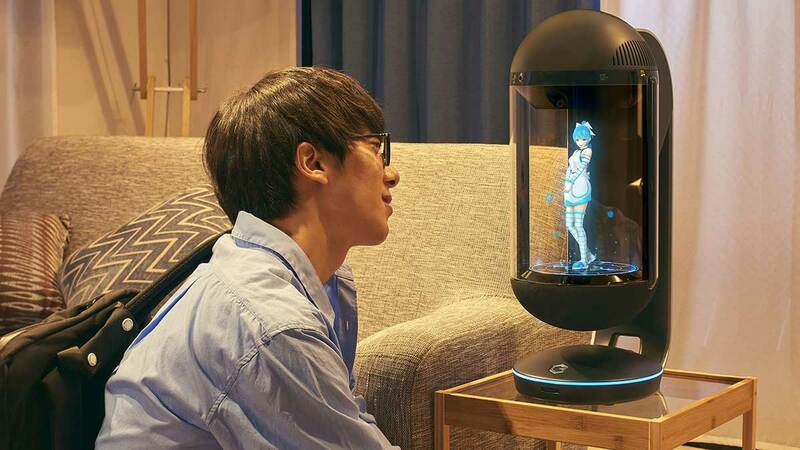 The holographic character stands about 8 inches tall and talks to her husband from behind a cylindrical plastic barrier. In addition to the upfront cost for Boku no Yome, husbands must pay a subscription fee of 1,500 yen (US$13.52) per month to keep their wife from getting outdated.